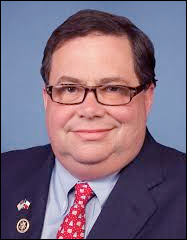 April 10, 2018 — Four-term Texas Rep. Blake Farenthold (R-Corpus Christi), who had shelved his plan to run for re-election well before the March 6 state primary largely due to details stemming from a sexual harassment settlement, abruptly resigned from the House on Friday. Farenthold delivered his announcement via video during the middle of the day and left his position by 5 pm. The resignation from his TX-27 seat had been rumored because the House Ethics Committee was about to conduct a further investigation into the harassment case and the $84,000 taxpayer funded settlement. Rep. Farenthold said earlier that he would reimburse the government for the payment, but records do not indicate the refund was made. By resigning, the Ethics Committee cannot continue the investigation because Farenthold will no longer be a member. With now former Rep. Farenthold having left office early, five House seats will be vacant upon Pennsylvania Rep-Elect Conor Lamb’s (D-Pittsburgh) imminent induction. The others are: AZ-8 (Franks-R), MI-13 (Conyers-D), NY-25 (Slaughter-D), and OH-12 (Tiberi-R). All will be filled by special election before the current Congress ends, though the Michigan seat will be done concurrently with the regular election cycle and there is no announced schedule for the New York seat. The AZ-8 seat special general election is April 24. 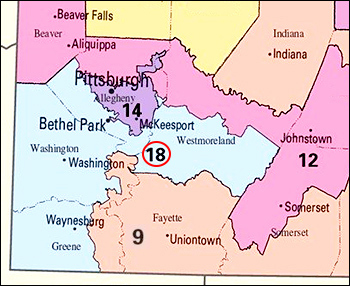 The OH-12 special primary will be held May 8, concurrent with the regular state primary. Gov. Andrew Cuomo has yet to decide a replacement procedure for the late Rep. Louise Slaughter (D-Rochester). The Texas succession situation is unclear. Gov. 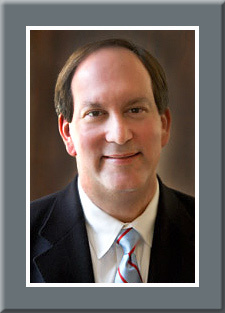 Greg Abbott (R) has eight days to decide on a special election schedule. The post-primary run-off for both parties is May 22 for the now vacant 27th CD. March 30, 2018 — The Hill newspaper released an article entitled, “GOP Seeks to Avoid Dem Upset in Arizona” Wednesday, but there is little empirical evidence to suggest that any such result is in the offing. 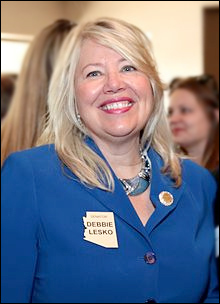 Is Arizona Republican candidate Debbie Lesko (above) facing defeat by Democrat Hiral Tipirneni? The Hill correspondents Ben Kamisar and Lisa Hagen report that the national Republican political apparatus in the form of the National Republican Congressional Committee, Republican National Committee, and the Congressional Leadership Fund (the latter organization loosely affiliated with Speaker Paul Ryan), are investing a combined $570,000 to protect what should be a safe seat. The spending reference somehow provides substantiation that Democrat Hiral Tipirneni is potentially positioning herself to defeat former state Senate President Pro Tempore Debbie Lesko in the April 24 special election to replace resigned Rep. Trent Franks (R-Peoria). Fresh from a stinging loss in the western Pennsylvania special election, Republican House members and rank and file supporters would rebel if the political committees were not taking this impending race seriously. Therefore, the ingestion of what is a modest amount of money when compared to previous special election spending has much more to do with covering internal political bases than any reference suggesting trouble for Lesko. Moreover, even in their own copy, the authors quote numbers from Democratic pollster Lake Research for the Tiperneni campaign that find Lesko’s lead registering 14 percentage points. The Republican campaign confirms, according to the article, that their internal polls also show a double-digit lead. The survey spread is then contrasted with President Trump’s 21-point victory from this district to suggest that Lesko is under-performing.